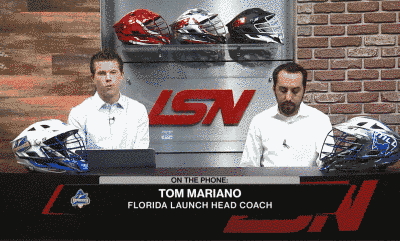 Author’s Note: This was yesterday’s interview with Launch Head Coach Tom Mariano concerning the upcoming MLL Draft of college seniors on Saturday, March 9th, live from NASCAR headquarters! Tom Mariano will enter into his third year as the head coach and general manager of the Florida Launch. We sat down with Coach Mariano to hear what he and the Launch are looking forward to at the Draft this year. How are you preparing for the 2019 MLL Draft? Do you have any superstitions around Draft Day? Who from your team staff will be assisting you with the Draft this year? Is there a style of play or a personality you consider when drafting? What would someone at the draft expect to hear? Which college team do you think has the strongest senior class? Which college team do you think will win it all this year? Who are the top draft prospects for the Florida Launch? What do you think of the MLL Draft taking place at the NASCAR Hall of Fame this year? Where should the 2020 MLL Draft take place? Mariano’s experience comes from both the college ranks where he currently serves as head coach of Pace University (DII) and the professional level where he serves as the head coach and general manager of the Florida Launch. In 2017, Mariano led the Launch to its first-ever playoff berth and in the process was named the MLL Coach of the Year. Mariano’s experience includes a 17 year run as head coach of the Head Men’s Lacrosse Coach at Sacred Heart University. During his stint with Sacred Heart, he earned NEC Coach of the Year honors after the team made the league playoffs for the first time. After leaving the Pioneers in 2013, he took on his current role as Head Men’s Lacrosse Coach at Pace University. As a player, he helped Nazareth College win an NCAA Division III National Championship. 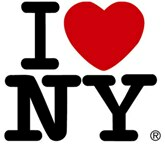 The Florida Launch is a professional men’s field lacrosse team based in Boca Raton, Florida. They joined Major League Lacrosse (MLL) as an expansion team in the 2014 season and currently play its home games at Broward County Stadium. The Florida Launch finished the 2018 season 5-9. Standout players for the Launch includeNick Mariano, Tim Barber, Marty Bowes and Austin Kaut.